Shrinking Wallet: Giveaways to enter! 1. The Shopping Queen's Christmas Giveaway. Stand a chance to win one of six prizes. 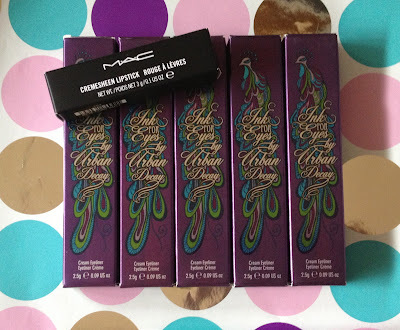 There are 5 Urban Decay Ink for Eyes in Demolition (dark brown) and 1 MAC lipstick in Creme Cup up for grabs. It is opened internationally and ends 31st December 2012. Enter here. 2. 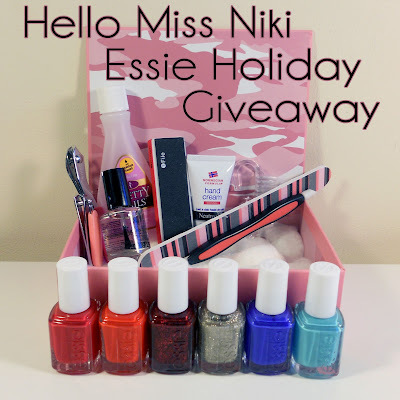 Hello Miss Niki's Essie Holiday Giveaway. Up for grabs is a 6 Essie polishes from the Winter 2012 collection, seche vite top coat, and a mini manicure kit. This giveaway is open internationally and ends on 15 December 2012. Enter here. 3. The Made Up Maiden's Christmas/New Year Giveaway. Prizes include Lancome Color Deseign All-In-One shadow palette, Magnetique, Lancome Ombre Hypnose single eyeshadow in Rose Etoile, Lancome mini eye crayon in Noir, and Lancome mini L'Absolu Rouge Lipstick. This giveaway is open internationally and ends 12 January 2013. Enter here. 4. The Amazing World of J's 500 Follower Thank You Giveaway. 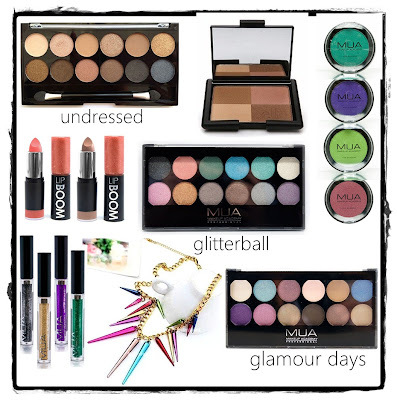 A whole heap of MUA and ELF products are up for grabs to one lucky winner, as well as a necklace! This giveaway is open internationally and ends 1 January 2013. Enter here. 5. Born to Buy's Christmas Giveaway. Born to Buy has three different sets of prizes for three winners! They're all amazing prizes. Unfortunately since Sophie is so friggin generous in her prizes, I can't list every single prize because this post will go on forever otherwise. Please check out her giveaway post here to see what you could win and to enter. 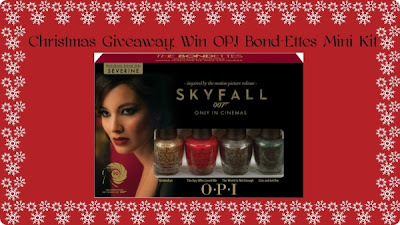 This giveaway is open internationally and ends 25 December 2012. 6. 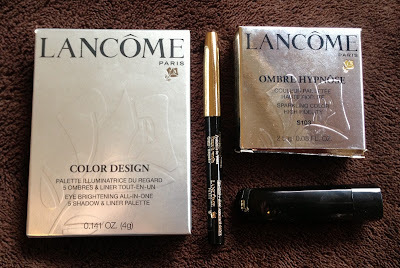 Makeup, Beauty, and Fashion's Christmas Giveaway. Stand a chance to win an OPI Bond-Ettes Mini Kit. Christine has teamed up with HQ Hair for this giveaway and it is opened internationally. It ends 16 December 2012. Enter here. 7. 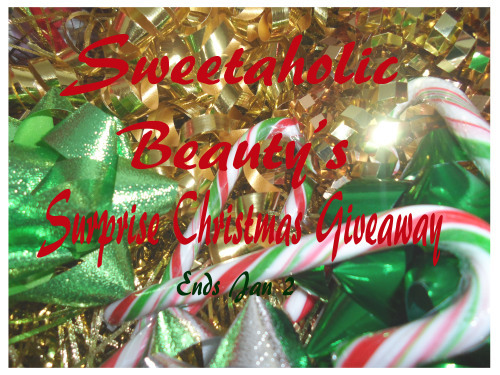 Sweetaholic Beauty's Surprise Christmas Giveaway. Prizes are not known in this giveaway but Jasmine is usually a very generous person, so I can't wait to see what the lucky winners are going to receive! There are two sets of prizes, one for an Australian winner and the other for an international winner. This giveaway is open internationally and ends 2nd January 2013. Enter here. Oh wow! There are so many giveaways going on right now :) Thanks for promoting mine!